Here are some snazzy birthday facts about 28th of July 1951 that no one tells you about. Don’t wait a minute longer and jump in using the content links below. Average read time of 9 minutes. Enjoy! What day was my birthday Jul 28, 1951? July 28, 1951 was a Saturday and it was the 209th day of the year 1951. It was the 30th Saturday of that year. The next time you can reuse your old 1951 calendar will be in 2029. Both calendars will be exactly the same! This is assuming you are not interested in the dates for Easter and other irregular holidays that are based on a lunisolar calendar. What day is July 28 this year? There are 100 days left before your next birthday. You will be 68 years old when that day comes. There have been 24,737 days from the day you were born up to today. If you’ve been sleeping 8 hours daily since birth, then you have slept a total of 8,246 days or 22.58 years. You spent 33% of your life sleeping. Since night and day always follow each other, there were precisely 837 full moons after you were born up to this day. How many of them did you see? The next full moon that you can see will be on April 19 at 11:14:00 GMT – Friday. Fun stat: Your first one billion seconds (1,000,000,000) happened sometime on April 5, 1983. If a dog named Zima - a Finnish Spitz breed, was born on the same date as you then it will be 321 dog years old today. A dog’s first human year is equal to 15 dog years. Dogs age differently depending on breed and size. When you reach the age of 6 Zima will be 42 dog years old. From that point forward a medium-sized dog like Zima will age 4.5 dog years for every human year. View the complete list of July 28 celebrity birthdays. Who are the famous July 28 birthdays? Here’s a short list of famous people in history who were born on Jul 28. View the complete list of July 28 famous birthdays. 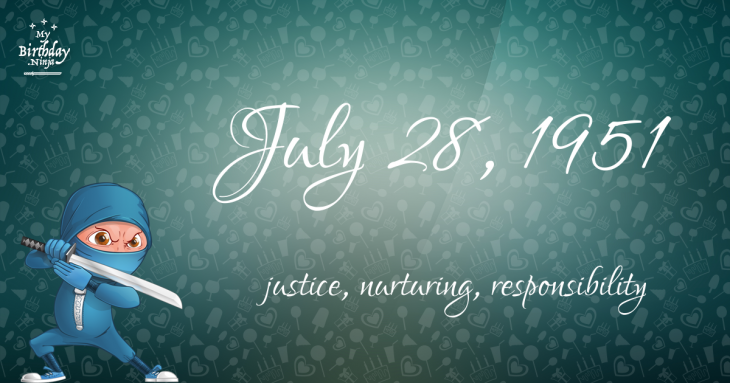 What happened on my birthday – Jul 28th? Troops of the Republic of Pisa and the Republic of Florence clash in the Battle of Cascina. French Revolution: Maximilien Robespierre and Louis Antoine de Saint-Just are executed by guillotine in Paris, France. Mahmud II became Sultan of the Ottoman Empire and Caliph of Islam. First flight of the Boeing B-17 Flying Fortress. The Metropolitan Police Flying Squad foils a bullion robbery in the “Battle of London Airport”. Heavy rain and a mudslide in Isahaya, western Kyushu, Japan, kills 992. Spetsgruppa A, Russia’s elite special force, was formed. The 1984 Summer Olympics officially known as the Games of the XXIII Olympiad were opened in Los Angeles. Andorra joins the United Nations. Australian Ian Thorpe becomes the first swimmer to win six gold medals at a single World Championships. View the complete list of July 28 historical events. What does my birthday July 28, 1951 mean? Your birthday numbers 7, 28, and 1951 reveal that your Life Path number is 6. It represents justice, nurturing and responsibility. You possess great compassion and seek to be of service to others. The following celebrities also have the same life path number: Daniel Ash, Romi Park, Michael Mahonen, Jackie Evancho, Greg Germann, Victoria Beckham, Mara Hobel, Chen Liping, Kelsea Ballerini, Vanessa Redgrave. What is the birthday horoscope for Jul 28, 1951? The Western zodiac or sun sign of a person born on July 28 is Leo ♌ (The Lion) – a fixed sign with Fire as Western element. The ruling planet is Sun – the center of our universe. According to the ancient art of Chinese astrology (or Eastern zodiac), Rabbit is the mythical animal and Metal is the Eastern element of a person born on July 28, 1951. What is the birthstone for July 28? Ruby is the modern birthstone for the month of July while Ruby is the mystical birth stone (based on Tibetan origin). The zodiac gemstone for Leo is onyx. Lastly, the birthday stone for the day of the week ‘Saturday’ is turquoise. Fun fact: The birth flower for 28th July 1951 is Larkspur for haughtiness. What is the Love Match for Jul 28, 1951? When it comes to love and relationship, you are most compatible with a person born on August 10, 1951. You have a Love Match compatibility score of +132. Imagine being in love with your soul mate. On the negative side, you are most incompatible with a person born on January 1, 1932. Your incompatibility score is -122. You’ll be like a cat and a dog on a love-hate relationship. Arf-arf, I want to bite you. Meow-meow, stay away from me! What is a good birthday trivia for July 28? I do not know how you feel about this, but you were a male ♂ in your last earthly incarnation. You were born somewhere around the territory of Hungary approximately on 1775. Your profession was philosopher, thinker. How many babies were born on July 28, 1951? Base on the data published by the United Nations Population Division, an estimated 97,382,033 babies were born throughout the world in the year 1951. The estimated number of babies born on 28th July 1951 is 266,800. That’s equivalent to 185 babies every minute. Try to imagine if all of them are crying at the same time. What is the popular baby name on 28 Jul 1951? What’s your bizarre Florida Man story? The #FloridaManChallenge is breaking the Internet and social media. Some crazy men, women, or creatures from the Sunshine State are making headlines every day of the year including your birthday. Try this fun exercise. Pick your search engine of choice and type in “florida man July 28” and see what kind of wild news headline you will get. This viral craze started in 2013 and gets resurrected now and then. The latest was from Tumblr and found its way to Twitter. As they say, the rest is history. Here’s a quick list of all the fun birthday facts about July 28, 1951. Celebrities, famous birthdays, historical events, and past life were excluded. 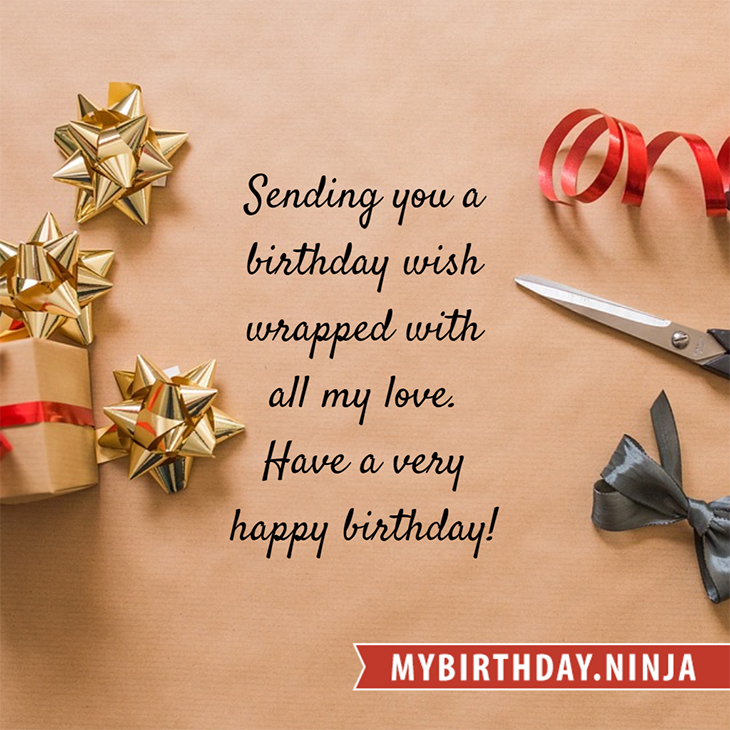 Try another birth date of someone you know or try the birthday of these celebrities: May 18, 1955 – Chow Yun-fat, Hong Kong actor and screenwriter; October 26, 1946 – Holly Woodlawn, Puerto Rican-American actress; August 8, 1983 – Guy Burnet, English actor and producer.